You make the Bates Dance Festival possible! Please give today. Donate online or print contribution form. Victoria Blaine-Wallace, Rachel Boggia, Phyllis Graber Jensen, Lindsay Hancock, Doug Hubley, Tracey Miller, Jason Moreau, Darby Ray, Michael Reidy, Allison Webster, and the many Bates College employees who provide ongoing support and assistance. Residencies and performances are supported, in part, by the National Endowment for the Arts, Art Works program. 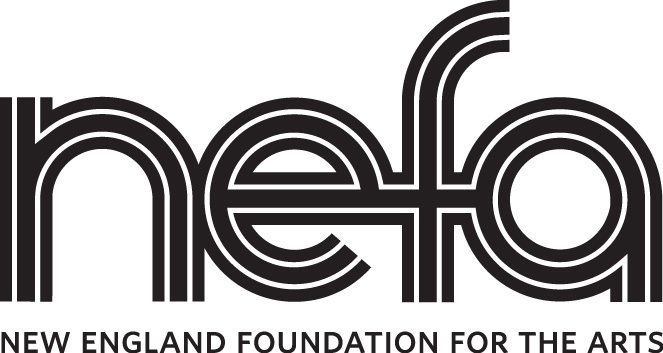 Significant support has been provided by the New England Foundation for the Arts National Dance Project, with lead funding from the Doris Duke Charitable Foundation and The Andrew W. Mellon foundation, with additional support from the National Endowment for the Arts; and the New England States Touring Program made possible with funding from the National Endowment for the Arts Regional Touring Program and the six New England state arts agencies. The Bates Dance Festival is a member of the National Performance Network which supports artist’s residencies and performances with funding from the Doris Duke Charitable Foundation, Ford Foundation, and the National Endowment for the Arts (a federal agency). The Bates Dance Festival is a summer program of Bates College. The brainchild of former Bates College President, Hedley Reynolds, and professor emeritus of dance, Marcy Plavin, BDF has evolved over its 35-year history into an internationally recognized laboratory for contemporary dance.